Skype calls in cafes without using headphones. Crushing it, killing it, destroying it. Entitled and arrogant. Crossfit. Meet the digital bromad. The digital nomad life means flexibility and freedom for those carving out a location-independent career. 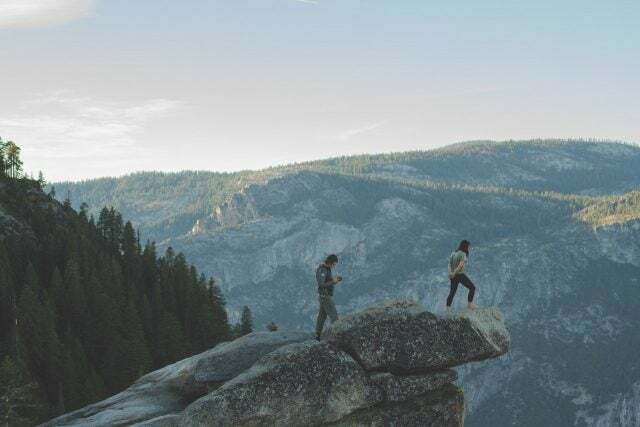 Web developers, copy editors, online marketers, or graphic designers can leave behind the nine-to-five grind to travel the world, laptop in hand to fund their adventures. However, though such a lifestyle sounds like it should be open to all, it’s quickly allowed a single, white, male caricature to flourish. In short, if you’re familiar with the popped collars of college bros or the braggadocio of stock traders, you can probably picture the digital bromad — just add a MacBook, an infinity pool and a mojito. The bromad’s particular brand of unearned confidence and hedonism is simply toxic masculinity in an exotic locale. One of the most definitive rundowns on the digital bromad concept hails from the ‘Bromads’ episode of Nomad + Spice, a podcast aimed at location-independent women. Nomad + Spice’s two hosts Kit Whelan and Viv Egan started their podcast to highlight the often overlooked perspectives of digital nomad women — perspectives responsible for that laundry list of bromad traits in my opening paragraph. Whelan is quick to point out that bromads are not always men — instead, they’re most strongly defined by their lack of respect for others. However, the nomad lifestyle lends itself undoubtedly more readily to those of a white, male, moneyed background. Documentarian Youjin Do’s 2017 One Way Ticket film explores the rise of the digital nomad, raising awareness of the shades of gentrification and colonialism that it entails. 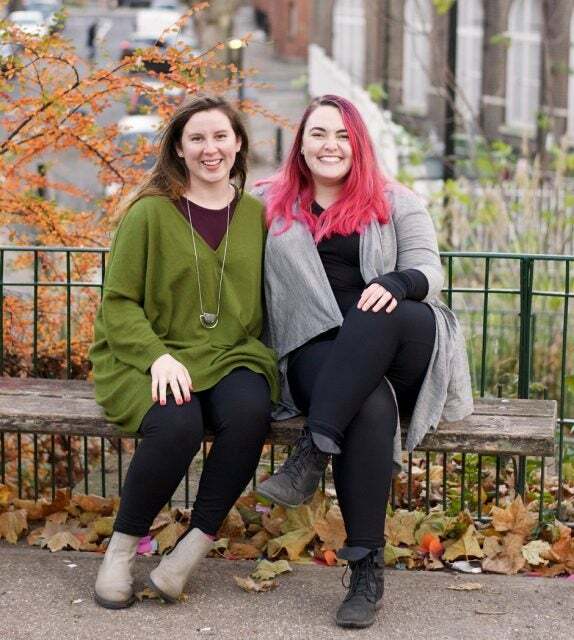 Viv Egan (left) and Kit Whelan, the creators of Nomad + Spice. Contrary to any expectations set by Instagram’s #digitalnomad hashtag, freedom and flexibility don’t mean endless stress-free vacation days. It can mean tight budgeting, adjusting to local culture, and constant efforts to ensure your next contract is lined up. Unless, that is, you’re a bromad, and therefore far more able to benefit from a few key systemic privileges. Western countries with attractive passports and good visa options are more likely to turn out digital nomads, for one thing. Plus, the male-dominated tech and digital industries mean young men are more likely to have an established enough career and contacts-list to risk it all on a one-way ticket to Thailand. And, if the nomad life doesn’t work out, the middle-class fallback of the Bank of Mom and Dad takes away the worst of the risk. 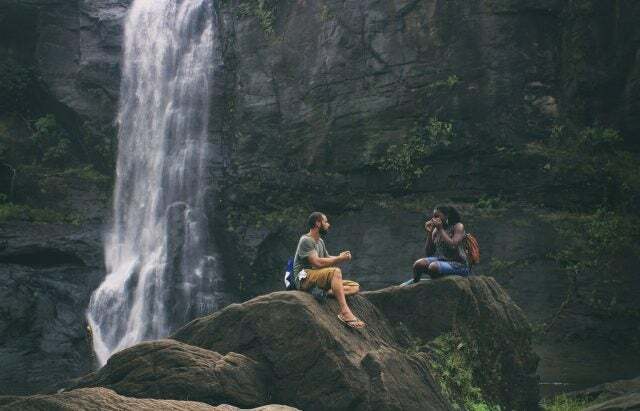 The bromad has a loud enough voice in the digital nomad community that it can be easy to forget that nomads come from a wide variety of backgrounds and experiences. As a result, plenty of digital nomads don’t even feel comfortable identifying as such, thanks to the weapons-grade sexism baked into the phrase itself. One Nomad + Spice listener, specialist travel consultant Marbree Sullivan, wrote to me from Bali to discuss how just being labeled a digital nomad makes her squirm. “The term conjures images of a straight white male millennial, usually either a developer/programmer or a drop-shipper/info-product huckster selling something the world doesn’t need, or preying on people trying to become digital nomads. 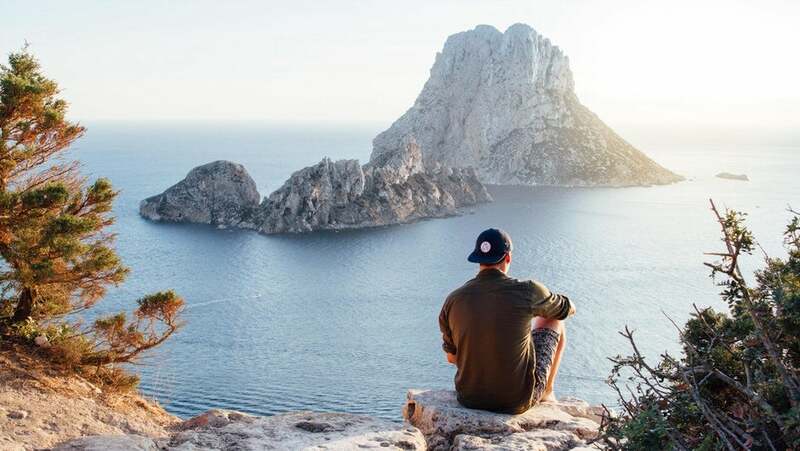 The latter often fall into the bromad category and these are the loudest of digital nomads, the ones who’ve crafted the public image of the lifestyle,” Sullivan says. The know-it-when-you-see-it predictability of how a bromad looks and acts has created a perception of digital nomadism that runs counter to the values of many Nomad + Spice listeners (the bromad episode remains their most downloaded yet). “Many people in our community don’t want to associate with that version of nomad life because it doesn’t speak to or for them,” Egan says. “Just like a loud man dominating a corporate meeting, the bromads have dominated the nomad space to the point that it actually drives people away — especially women and LGBTQ+ people,” says Whelan. 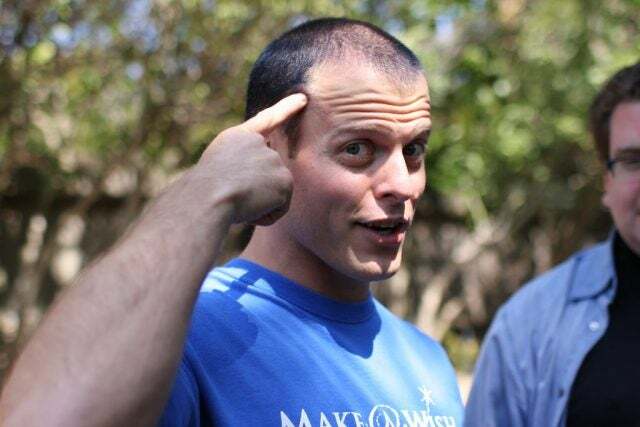 Tim Ferriss, author of “The Four Hour Workweek.” Photo: Brian Solis, Flickr. The promise of an easy-going nomadic lifestyle was popularized in the bromad-friendly 2007 manual The Four-Hour Workweek. One of the tips author Tim Ferriss offers is “Geoarbitrage”, a term for the value to be extracted from living in a third-world country on a first-world salary. Ferriss even suggests outsourcing work to a virtual assistant to save yourself the equivalent of a day’s work per week, while paying a pittance. Ferriss’ advice book holds the roots of the modern digital bromad, Egan and Whelan explain. They argue that Ferriss’ belief in one’s ability to bootstrap one’s own success fails to grasp the privileges that are, in large part, truly responsible for that success. “Tim is a big one for not recognizing privilege,” Egan says. “He’s a straight white guy with an Ivy-league degree and a middle-class background, but he assumes that his position is universal. A key example: ‘what’s the worst that can happen – you move back in with your parents?’ or ‘all you need is your passport and a laptop!’ – both things that aren’t that easily attainable for plenty of folks. Given Ferriss’ prominence, it’s little wonder that “half the guys bumming around Chiang Mai are carbon copies” of him, as Egan puts it. But, having privilege isn’t what makes bromads the worst: Their flaw is their failure to broaden their horizons, either by appreciating how the opportunities they’ve enjoyed in life have helped them or by connecting with the diversity of the cultures surrounding them. It’s easy to see the disadvantages of a sexist hierarchy in non-nomadic tech jobs, where the privileges of getting hired, promoted, or invited to deliver a keynote are doled out by a male-dominated industry. The emptiness of women’s restrooms at major tech conferences neatly sums up that lack of opportunity. That same atmosphere can persist when the tech industry “goes nomad”. Find an industry event overseas, and the same old prejudices rear their head. Networking effectively is essential to any work environment, and it can’t happen for those who aren’t accepted as peers. But, attempt to create a safe space away from bromad-dominance, and you can risk backlash. One instance of more overt sexism mentioned in the Nomad + Spice podcast came from a Reddit commenter who was offended by someone hoping to start a Facebook page for queer female nomads, as he felt it excluded him. One estimate claims 40 percent of people will be working remotely by 2020. As that number rises, the dominance of white masculinity in the digital nomad space may yet give way to more diversity and a softening of nomad culture. Organizations such as Shenomads and Digital Nomad Girls aim to guide women through the process of location-independent working. And, conferences that aren’t specific to women are building their values around ensuring inclusivity for less-privileged nomads. A good example is the 7in7 conference, which is held on a new continent every year and co-founded by Kit Whelan. Until such change becomes the norm, the toxic culture around digital nomads has a way to go to shift perceptions.